1) Fighting on the right side—that is with God and not against God. 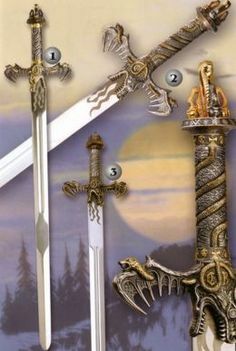 2) That you are fighting with the right tools, weapons, tactics and Spiritual commands. James 4:1 “What is causing the quarrels and fights among you? Don’t they come from the evil desires at war within you? 2 You want what you don’t have, so you scheme and kill to get it. You are jealous of what others have, but you can’t get it, so you fight and wage war to take it away from them. 3 And even when you ask, you don’t get it because your motives are all wrong—you want only what will give you pleasure. 5 Do you think the Scriptures have no meaning? They say that God is passionate that the spirit he has placed within us should be faithful to him. “The spirit that God caused to live within us has an envious yearning”? Can you hear what James is warning his reader of? Which is critical because, in the end, these conflicts, according to James, place you squarely in opposition to God, as opposed to fighting along side of God against evil or evil desires. So how do we ensure we are fighting with God as opposed to fighting against God? By using His tactics, power and weapons…. 7 So humble yourselves before God. Second, by fleeing from Satan so that he will flee from you. Resist or flee from the devil, and he will flee from you. Third, by drawing near to God, so that he will draw near to you. 8 Come close to God, and God will come close to you. Wash your hands, you sinners; purify your hearts, for your loyalty is divided between God and the world. 1. By grieving your unclean hearts and hands (thoughts and actions). 9 Let there be tears for what you have done. Let there be sorrow and deep grief. Let there be sadness instead of laughter, and gloom instead of joy. and he will lift you up in honor. 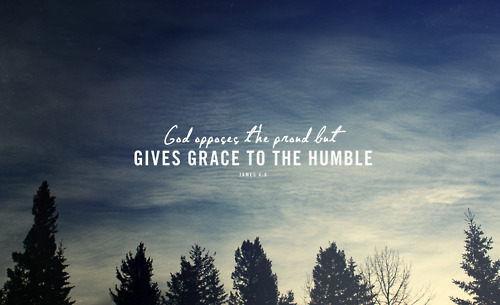 Bottom line: because God is at war with the arrogant but gives grace to the humble, make sure that your heart is humble. Look at the example of Cain and Able. Able offered the acceptable sacrifice. Cain did not. Cain’s disobedience led him to be tragically at war with both his brother and God. 2 Later she gave birth to his brother and named him Abel. When they grew up, Abel became a shepherd, while Cain cultivated the ground. 3 When it was time for the harvest, Cain presented some of his crops as a gift (tribute, offering, present, sacrifice; donation) to the Lord. 4 Abel also brought a gift—the best portions (the fatest; choicest; richest; grease; marrow) of the firstborn lambs from his flock. 5 but he did not accept Cain and his gift. This made Cain very angry, and he looked dejected. 6 “Why are you so angry?” (hot, furious), the Lord asked Cain. “Why do you look so dejected? 7 You will be accepted if you do what is right. But if you refuse to do what is right, then watch out! Sin is crouching at the door, eager to control you. And while they were in the field, Cain attacked his brother, Abel, and killed him. 10 But the Lord said, “What have you done? Listen! Your brother’s blood cries out to me from the ground! 11 Now you are cursed and banished from the ground, which has swallowed your brother’s blood. Conflict comes from unfulfilled passions, which places you on the wrong side of heaven’s war with Evil. The real solution to your having your true needs met lies in not in attempting to extract it from the world or another person, but instead allying yourself to God. 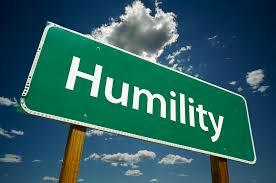 So grieve your dependence upon the world, humble yourself before God and passionately seek his exaltation. Your answer for obtaining what you really need, as God’s children, in order to Spiritually survive and thrive, lies not in strategically battling with others in order to satisfy your cravings, but instead humbly asking God to meet your deepest, truest needs. If you truly want to survive and thrive in this crazy, chaotic, unpredictable, evil and often-times, challenging world, then make sure you are fighting for and with the right Spiritual side—God’s side…God’s war…and with God’s tactics, power and truth. This entry was posted in Eat at Joe's and tagged anger, expectations, fighting, James, war, weapons on March 30, 2016 by admin.